I do NOT understand why breweries release seasonal beers so early! 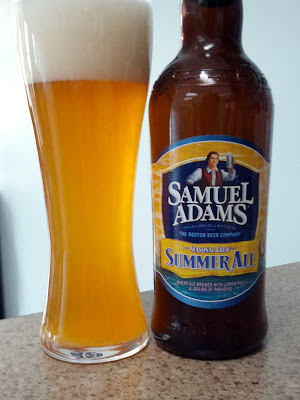 Such a pet peeve… I do enjoy a Sam Summer, but agree that it is probably some nostalgic memory rather than the beer itself. Cheers! Yep, this continually advancing seasonal cycle is a pet peeve of mine. I remember seeing Sam Adam’s Jolly Pumpkin in JULY last year! Sam’s seems to be the biggest violator of it, but they’re also the biggest craft brewer, however Bell’s Oberon is out already as well.